Under the hood is where this car really shines. 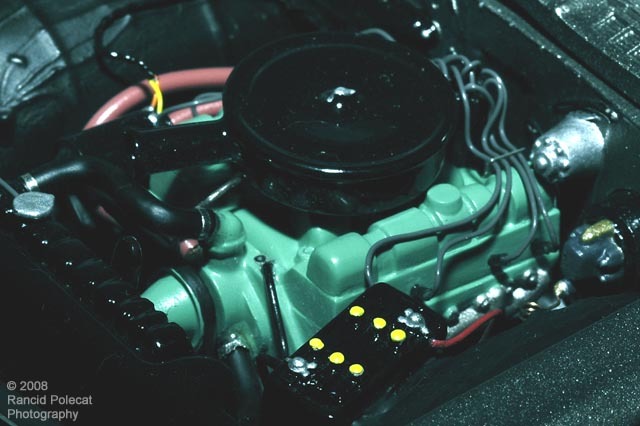 Bruce detailed the engine with a fuel line from the pump to the carb, spark plug wires, generator wires, and radiator and heater hoses. He also added battery wiring and clamps, brake lines from the mater cylinder, and tubing for the windshield washer reservoir.